Large-scale archaeological investigations to the west of Bedford, including the Western Bypass and the Bedford Water Main, covered an area c.200ha, of which c.90ha was excavated and the remainder subject to survey. 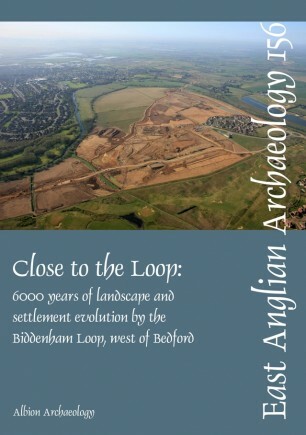 Joint publication has provided an excellent opportunity to study a significant swathe of the Bedfordshire countryside. The investigations have produced evidence for 6,000 years of landscape and settlement evolution. Perhaps the most striking result is the evidence for continuity, rather than discontinuity, in the development of the landscape. The act of defining chronological periods, while essential in describing past human society, does tend to accentuate discontinuity. This applies both to individual monuments — some on the Biddenham Loop played a major part in people’s lives for many generations — and to the wider landscape itself. The Neolithic and Bronze Age monuments were incorporated into the middle Bronze Age field systems and some were still used for the burial of the dead. Continued use of these fields into the middle Iron Age and even the Romano-British period is clearly evidenced by the way in which later farmsteads were set up on their periphery. The positioning of the main early Iron Age pit alignment across the Biddenham Loop has elements of both discontinuity and continuity. It does ‘cut’ a number of ditched boundaries but does so at the corners of fields, so that over the majority of its course it crosses unenclosed land between two separate middle Bronze Age field systems. 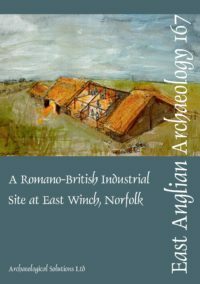 For the Roman–Saxon transition it is significant that the majority of the evidence for early Saxon settlement occurs in the vicinity of Romano-British settlements.